The search engine has updated Google Ads Editor giving it a brand new look and a whole host of new features. 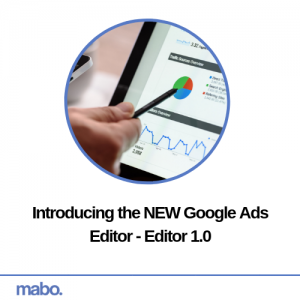 Google Ads Editor is designed to help advertisers edit and draft campaign changes. For users, Google Ads Editor provides a platform in which they can make changes to campaigns without going into the web interface. In terms of the new look, the editing panel that was located at the bottom can now be find on the right hand side of the interface and the navigation menu at the top is now smaller and no longer encapsulated within a bar. It’s arguable that this update to the appearance has given Ads Editor a much cleaner and fresher look. 1. Custom Rules – There are now five new, different custom rules available within Google Ads Editor. 2. Responsive Ads – One of the new custom rules will now notify advertisers if there aren’t any Responsive Search Ads in an ad group that has an expanded text ad. 3. Video Ads – There are now far more features available within Ads Editor for advertisers running video ads and campaigns. This includes functionalities such as adding CTA’s in TrueView in-stream ads and full support for non-skippable video campaigns. 4. Smart Display Campaigns – You are now able to target and exclude audiences within Smart Display campaigns. 5. App Campaigns – There are new and improved features to support App campaigns within the Editor 1.0. 6. Message Extensions – Message extensions are now supported in Editor. This update can only be a good thing for advertisers. Although it may take a little while to get used to the new appearance of the platform, the new features will without doubt make advertisers lives a little bit easier.